We aways want to have some critters around. We have gotten into the habit of making sure the males are gelded because we don't need a population explosion. The stories contained in this session are about the various types that we have had. Nothing makes them special except that they are ours. We spend time with them and people who visit our place tell us they are special because they are so gentle. These are the original three and by no means were they gentle when this picture was taken. Critters are always better when mixed with grandkids. The critters like the kids and the kids like the critters. Sally and I like them all but it does give us a problem. When we have a population explosion it's almost impossible to sell the excess. 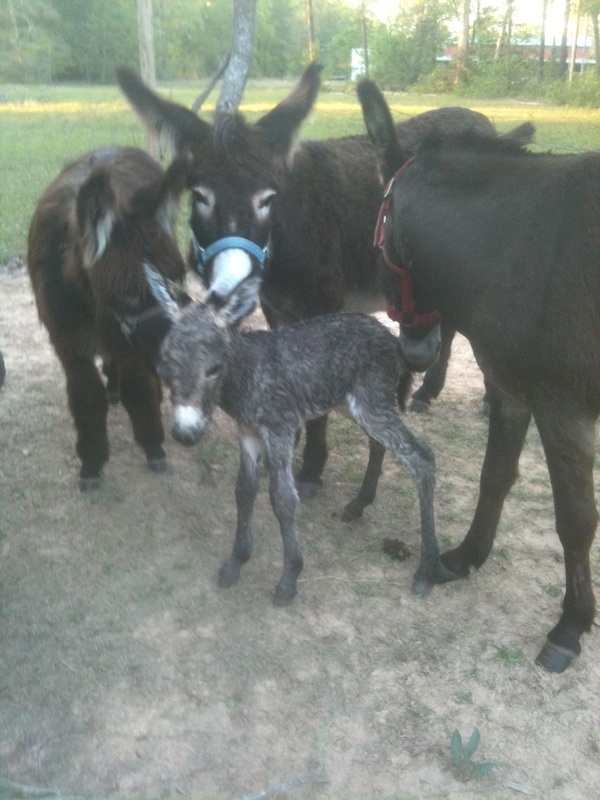 We treat baby donkeys like grandkids and I say that without apology.